FRENCHVILLE, Maine — Officials from the Maine Department of Agriculture, Conservation and Forestry’s Maine Forest Service and Division of Animal and Plant Health, the United States Department of Agriculture’s Animal and Plant Health Inspection Service, and USDA Forest Service will hold an information session in northern Aroostook County following discovery of emerald ash borer (EAB) in Madawaska, Frenchville and, recently, Grand Isle. The session is planned at 6:30 p.m. Thursday, Aug. 23, at the Frenchville Community Center. Representatives from the agencies will provide background information on the insect; an update on the response to the detection of emerald ash borer; and discuss impacts on movement of wood products. The public is welcome to attend and learn more about the emerald ash borer and impacts of its arrival in Maine. 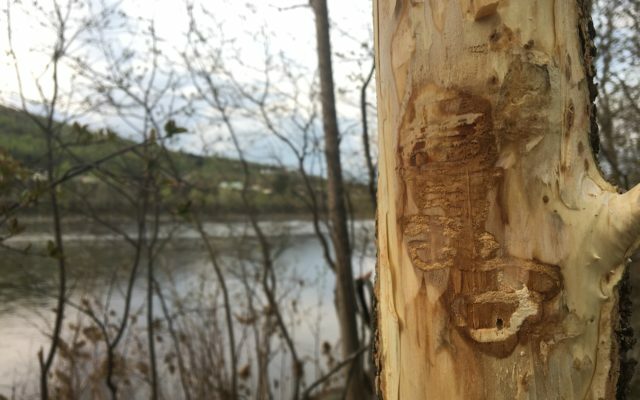 The emerald ash borer appeared in Edmundston in early May, and later that month state officials discovered infestation in Madawaska, near Frenchville, and by early August traps revealed EAB in Grand Isle as well. Concerned citizens turned out June 18 in Frenchville for the first information session with DACF and USDA representatives, who said at the time they were considering a stop-movement order on ash wood products to slow the spread of the insects, who kill ash trees by burrowing inside them and feeding on the wood. On Friday, Aug. 10, the DACF issued an emergency stop-movement order preventing the movement of certain ash products and untreated firewood in northern Aroostook County. Department spokesman John Bott said the action aimed to contain the infestation. More information about emerald ash borer is available on the Department’s webpage: www.maine.gov/eab.